Rhonda A. Jonah, 58, of Weldon, NB, passed away peacefully at The Moncton Hospital on Monday, December 3, 2018. Born in Moncton, she was the daughter of the late Carl and Mildred Nelson. 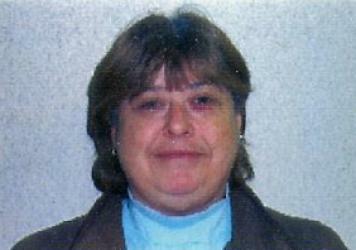 Rhonda was a former school bus driver with Stock Transportation in Toronto for over 25 years. Rhonda will be sadly missed by her husband of almost 40 years, Dale Jonah; her daughter, Terri Jonah and her aunt, Darlene Horsman (Clarence), as well as her beloved fur babies, Loki, Snowball and Nanners. In keeping with Rhonda’s wishes, there will be no visitation hours or funeral service. Fergusons Funeral Home, 1657 Mountain Road, Moncton, (858-1995) in care of arrangements.